TORONTO — Disgraced former CBC Radio host Jian Ghomeshi has penned a personal essay in which he expresses "deep remorse" for the way he treated some people, admitting he was "demanding on dates" and "emotionally thoughtless." In the article, titled "Reflections from a Hashtag," published online Friday in The New York Review of Books, Ghomeshi also reveals that he had suicidal thoughts in the aftermath of the allegations and reflects on his trajectory from a high-profile radio host to a self-described "outcast." "I've become a hashtag. One of my female friends quips that I should get some kind of public recognition as a #MeToo pioneer," he writes in the approximately 3,400-word piece. "There are lots of guys more hated than me now. But I was the guy everyone hated first." 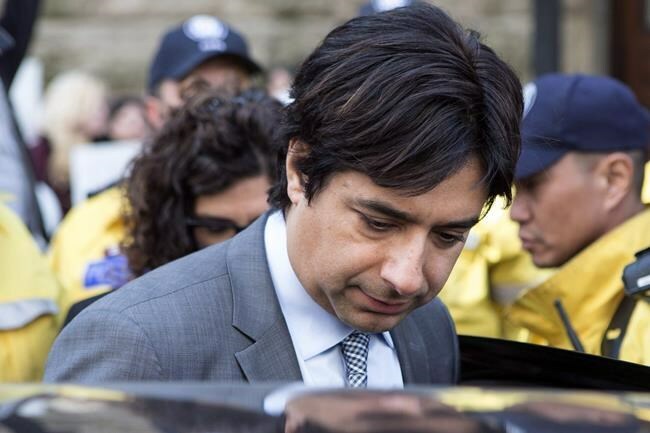 In the essay, which marks the first time Ghomeshi has addressed the trial publicly, he writes that he cannot confess to accusations he maintains are "inaccurate," but admits he should have been more "respectful and responsive" with the women in his life. "I leveraged my influence and status to try to entice women and lead them on when they were interested," he writes. In anticipating the reaction to the essay, Ghomeshi acknowledges that it focuses on his own experience, "which may be seen as not helpful in rendering women’s experiences more visible." He fumed over what he characterized as "inaccurate" stories about him on social media, but also said "this period has also been a tremendous education."